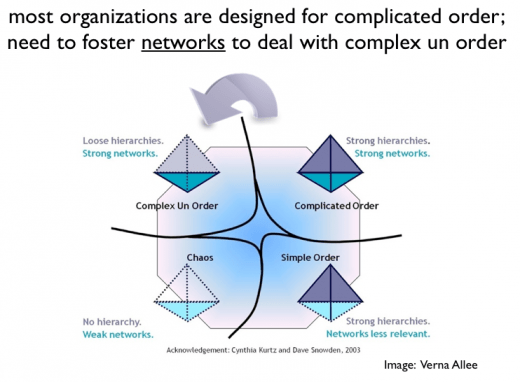 complexity | Agile KM for me… and you? So many clichés about change, so much ado about a big thing, so many ways to look at it and so many barriers to it! And just so it’s clear: I’m talking about social change (see some pictures about this concept), i.e. change that involves humans and their behaviour, as opposed to changes in e.g. engineering or information systems. The much desired and (our most loathed) change is at the centre of a lot of agile KM and also development work. We want to understand it, track it, make it happen, or stop it. As a formula. In a box. 100% fail-proof. Perhaps because we may be overlooking one of the most important dimensions of (social) change: it is the bizarre fruit of the dance of time and space along various factors. There is no direct and pure causality between activity A and change X. 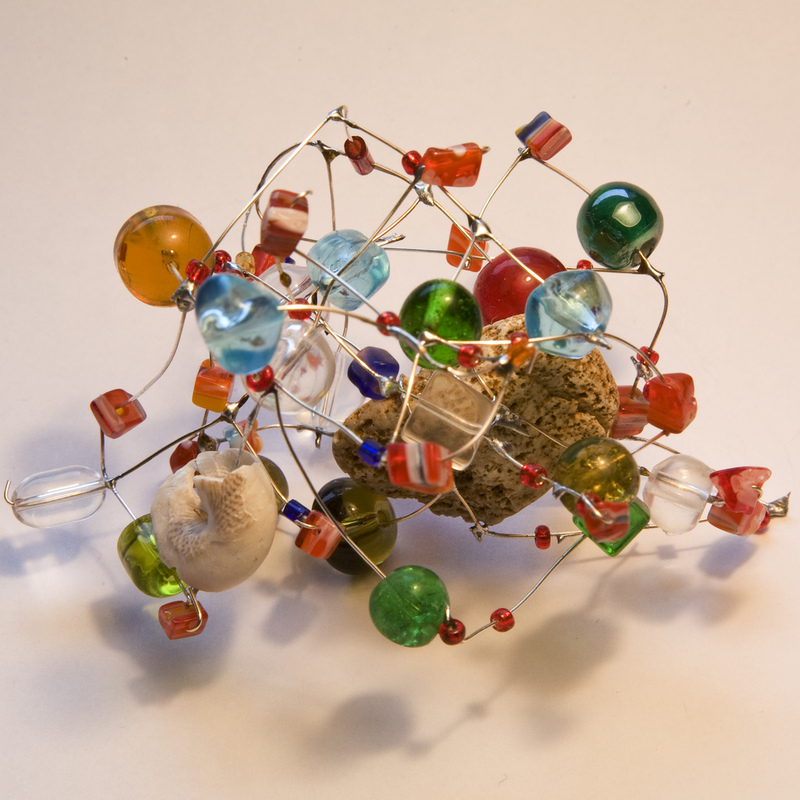 Complexity theories have helped us understand this intricacy. But not necessarily helped us find ways to address this. Here’s a shoot post about a change management toolkit of sorts: Using hidden dynamics to realise how to look at and work around change, with four lighthouses on our journey: scaling, pacing, staging and patterning. Social change has both roots and branches across space and time. Understanding scaling is a precondition to achieving change. What other geographic scales are at play in a change dynamics? What could be other beneficiaries or victims of change: other teams? Organisations? Projects? Communities? Districts? Regions? Think upstream-downstream, centre-edges, power groups/marginalised groups What mechanisms are intentionally or involuntarily titillating other scales? What are the tradeoffs and what is the aggregate ‘return on investment’ then? Similarly, what could be long term as opposed to short term changes or effects? We tend to apply a tunnel vision to the scales we are focusing on, but understanding how a given initiative brings about change that affects people differently over time helps us get a bigger picture of the change we are looking at. This is at the centre of the reflection on time scales in social learning for climate change. 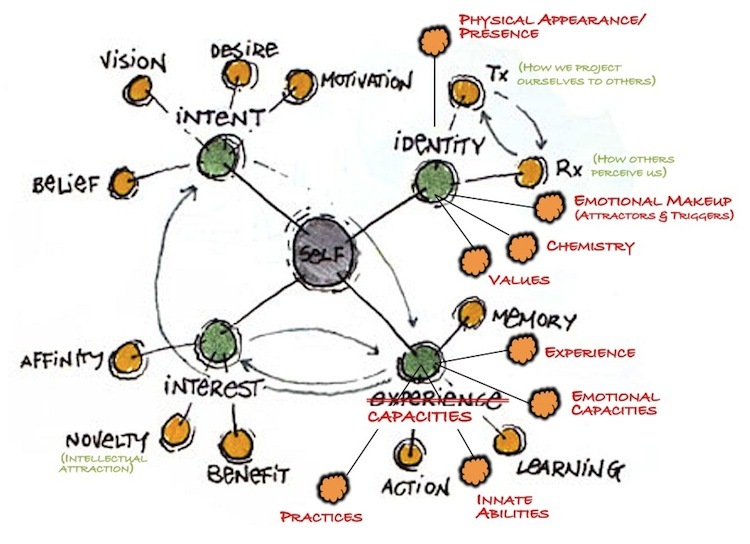 Of course we cannot predict all these changes, but joined-up thinking such as collective visioning exercises give us glimpses of these longer term changes… Don’t consider change without careful attention for scales. Time is of the essence in change, as we’ve seen above. 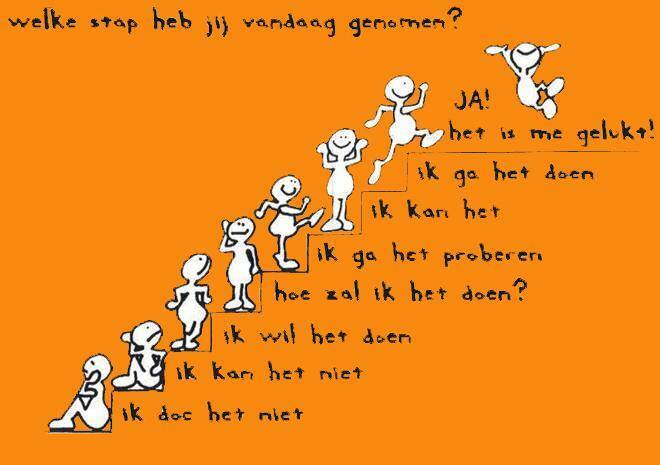 Because behaviour change takes time, all the more so when someone else wants you to change. No ‘intended’ social change happens overnight – unless by some miracle all elements are just ready for it and one extra drop takes care of it (ha! the results of edge effects Alice McGillivray is brilliantly talking about). So no change happens in a fingersnap. The last but not the least dynamic of the four, and for good reasons: The complexity of social change requires us to sharpen our senses and (ideally collectively) recognise patterns that make up change. 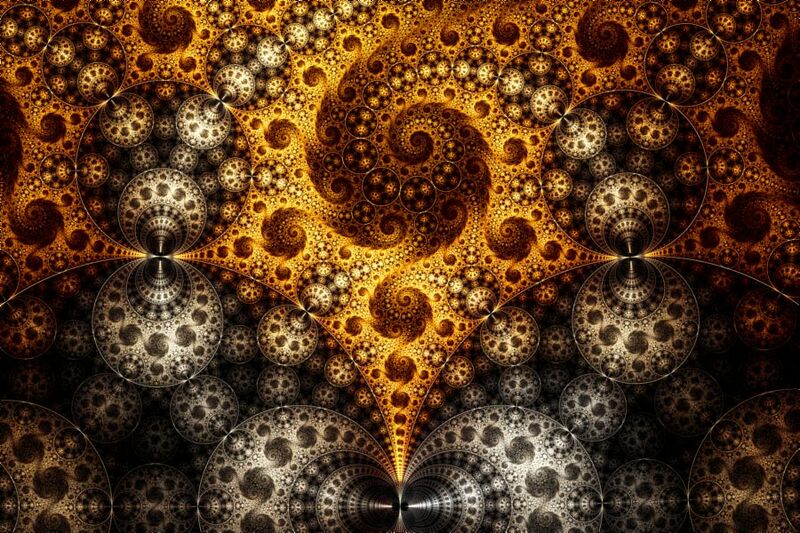 Both in the centre of our attention and at the edges… With patterning we can identify the fractals of change, and by continually doing so we can recognise where in the bigger picture of change a certain fractal belongs. How do you do patterning? 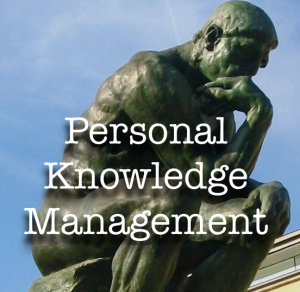 Through learning conversations around a theory of change of sorts, and whether formalised or not, continually exploring the ramifications of that change. In a lot of agile KM projects – and more conspicuously in a majority of development projects – we tend to zero in on specific changes induced by a given initiative. But we are chasing a fish pack and the way the fish pack shapes and shifts, moves and mixes, appears and disappears tells us much about that ever elusive change. Scaling, pacing, staging and patterning are instruments at our disposal to understand the fish better and, occasionally, to fish it better. 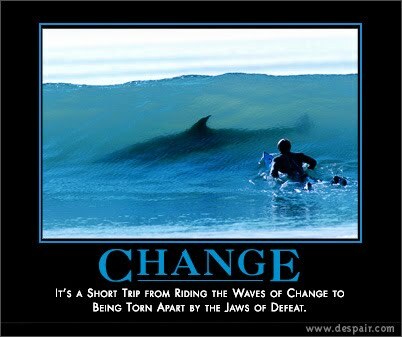 Since change might look like a shark, we might as well be apprehend it better, don’t you think? 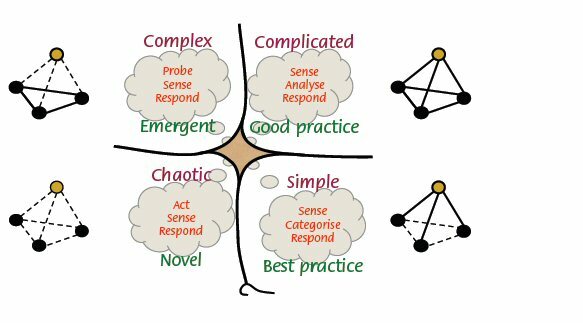 What is it about chaos, complexity, patterns, emergence that make it sound so real while we are still at a stage of poorly characterising it, let alone making deep sense of it? I believe it is that deep feeling of whole interconnectedness that really gives weight to chaos theory and to emergent issues. Feeling that all small talks and actions, larger initiatives and projects, philosophy of life and epistemological framework actually reverberate the same patterns… the fractal of my life HERE and NOW. 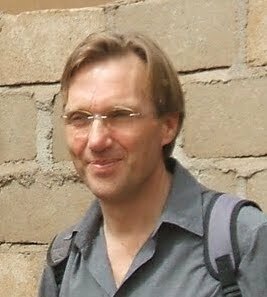 In all these activities, I have also come to think that the liquid or flow that perhaps provokes transition phases (a physical term which, applied to development work would mean that it instigates social change) is the energy that one absorbs from others and reverberates back to them. In sharing knowledge, emotions, thoughts, we seem to all connect to the same grid and let a kind of human electricity pass on through the grid. Perhaps the emergent patterns that we observe are a product of these social transactions. Where to start with chaos and order? Will I ever get more certain about anything ? Just as I thought I started gathering quite some ideas on sector learning, resource centres, learning alliances, learning and knowledge management in general, my hopes to make sense of this world are crushed again – or my hopes of making sense of it the way I did are crushed. The reason for the onslaught on my vision of the world? 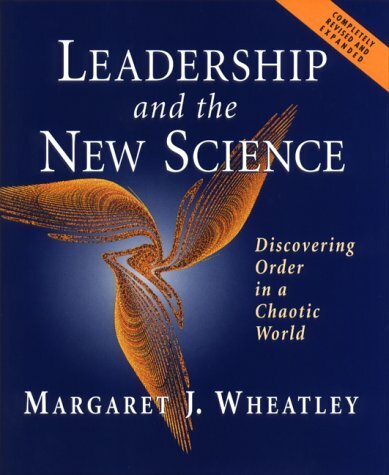 I’m just finishing to read Margaret Wheatley’s seminal ‘leadership and the new science’. This has been written a while back – this second edition is from 1999. However, the book remains spot on on a number of ideas I think. What I take from this book is essentially a confirmation from the feeling I had that we should abide by Nature’s laws a lot more. Not go with the human flow but just go with the natural flow that we all feel in spite of cerebrally follow the forms, functions, roles and rules that we have assigned ourselves as human beings, and that we have ingrained in ourselves for too long. Another thing that I take from this book: there is absolutely no need to focus on critical mass and on having reached a certain level. The slightest tickle in the system can provoke a gigantic reaction. Of course, this reaction will probably reach that effect through feedback loops afterwards or because it is a feedback loop of similar little ripples in the past. But the bottomline is: go local, go for one-on-one and make the change happen there. Champions are more important than systems, or rather champions work with systems and the other way around. Now there’s a leap before more people are ready to dive in the dark and just accept to put their deeply entrenched beliefs and old reactions aside. One doesn’t change humans like this, and the preparation of the workshop I am going to partly facilitate reminds me of this. How to change? How to become the change that we seek to achieve? I can’t really tell but all I know is, the dynamic of change that my learning management movement is trying to achieve is very much in line with the teachings of this book, and the beautiful lattice-like shape of the KM4DEV core group trying to organise a workshop at thousands of miles’ distances in a very organic but effective way is only another testimony that indeed we need to change in order to survive, and changing and dancing with chaos is not only beautiful, it feels extremely good!!! Confusiasm way back on the spot!! !